February 2, 2018 by Laurie Leave a Comment This post may contain affiliate links, which means if you click on a link and purchase something, I may earn a small commission (at no additional cost to you.) See my disclosure policy HERE. Never ever never pay full price for magazines! Go HERE to choose from tons of magazines on sale this weekend for as little as 41¢ per issue or $4.95 per year. 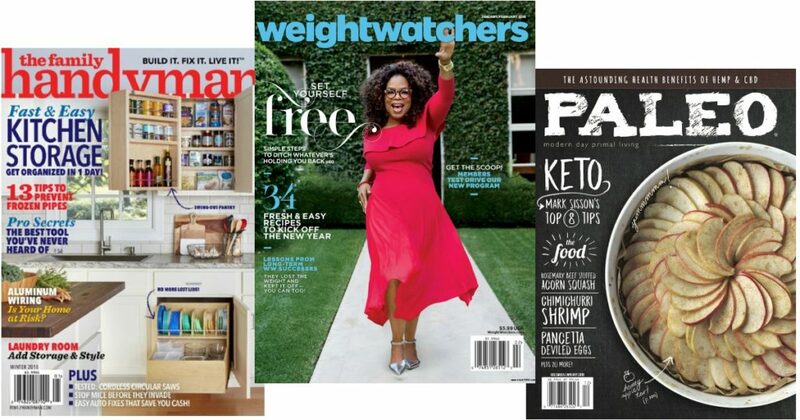 My favorites are Southern Living, Taste of Home and House Beautiful ~ but you can also get great deals on other popular magazines like Weight Watchers Magazine, Family Handyman, and for the sports guy in your life – ESPN Magazine is just 18¢ an issue! see if your favorites are on sale today!